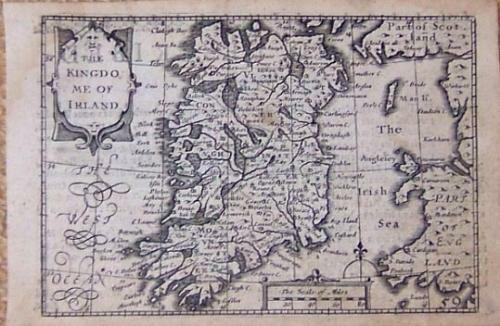 Title: 'The Kingdom Of Ireland'. A 'miniature Speed' map of Ireland by van den Keere. In good condition with minor toning. Small stain in the top left corner.